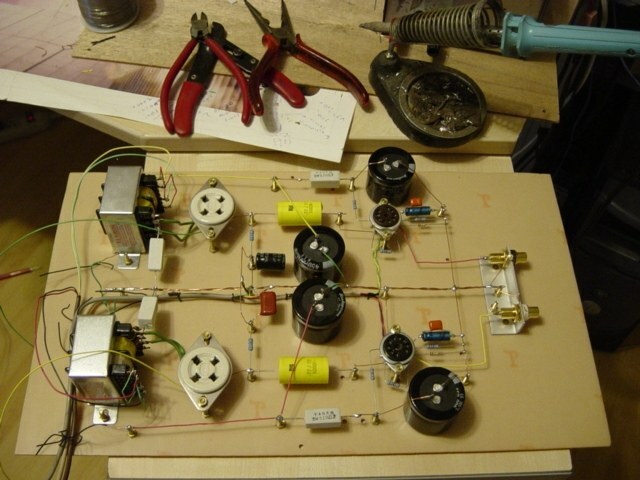 This article is talking about SRPP tube amplifier and touching the key points. The actual experiment support can prove the theory. 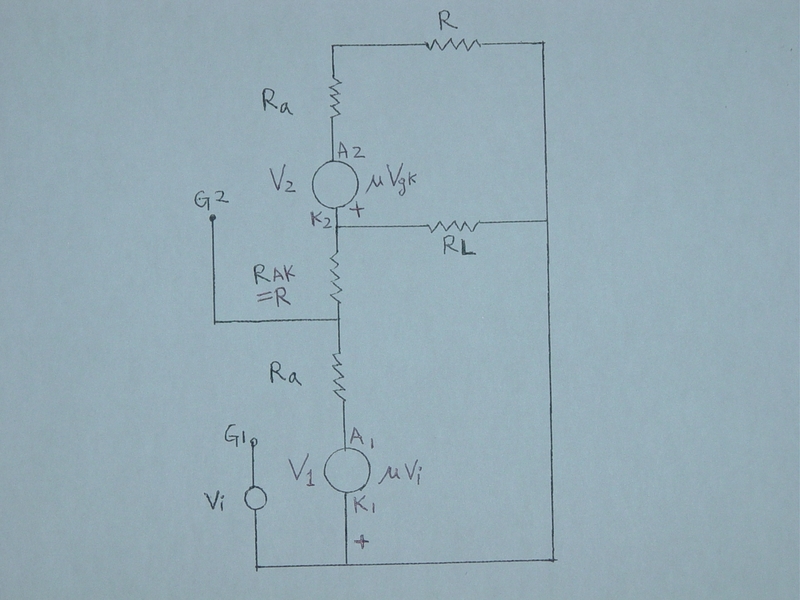 The amp itself is simple just two triodes V1 and V2 connected in series to share one B+ power supply. 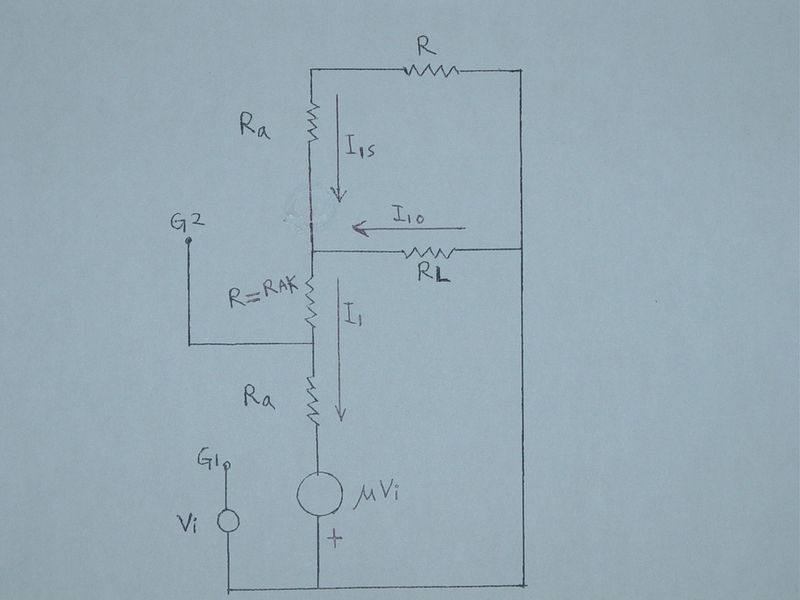 Where there is no input signal V1 and V2 have same plate current and half B+ volt supply each. increase and the voltage drop at RAK will increase, this will make the Ip of V2 decrease (second step). 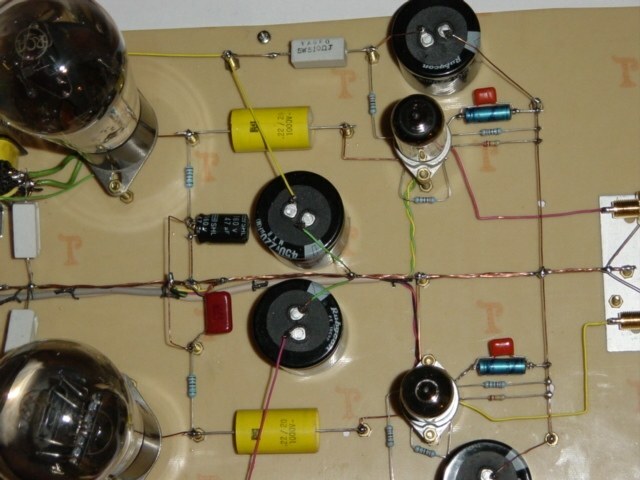 voltage is doubled in compare with one triode working so that this is a push pull. In most cases, we use two identical triodes and RK=RAK so that the bias is equal for two tubes. The only thing we have to do is to determine the value of RK, RAK and RL. RK could be 5.1 KΩ for 6SL7 or 1.5 KΩ for 12AU7 and 680 Ω for 6DJ8. and the RL could be 150 KΩ to 220 KΩ. OK, it was done! and it works. The listening result feedback is different, sometimes excellent, sometimes so far so good and somebody said it is too sharp and a cathode follower should be added to make the sound warmer. What happened? Is it the RK, RAK and RL value come by guess is not appropriate and has to be fine tuned? 1. 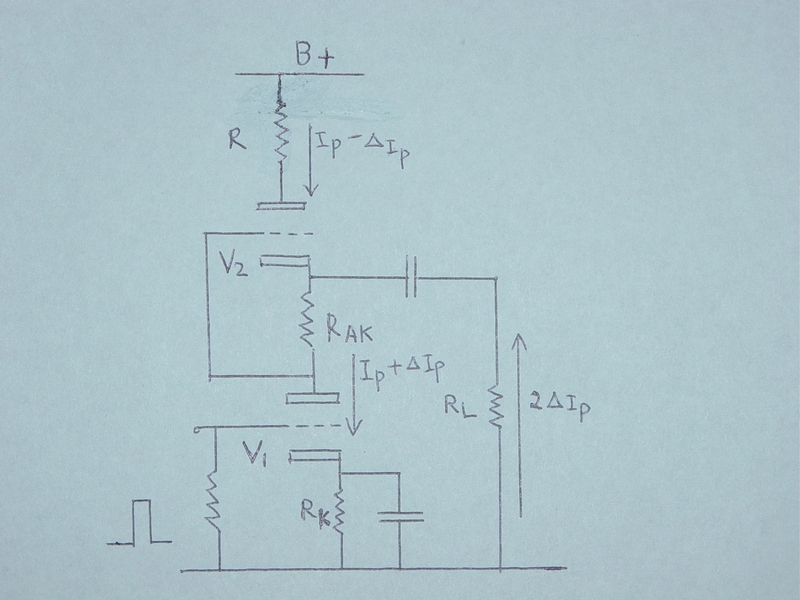 Static balance: – V1 and V2 should share 1/2 B+ supply each in the case of no input signal. 2. Dynamic balance: – An input signal to V1 grid caused a delta Ip1 for V1, this delta Ip1 will cause a delta Ip2 for V2 because of RAK, it is known as dynamic balance if delta Ip1= delta Ip2. 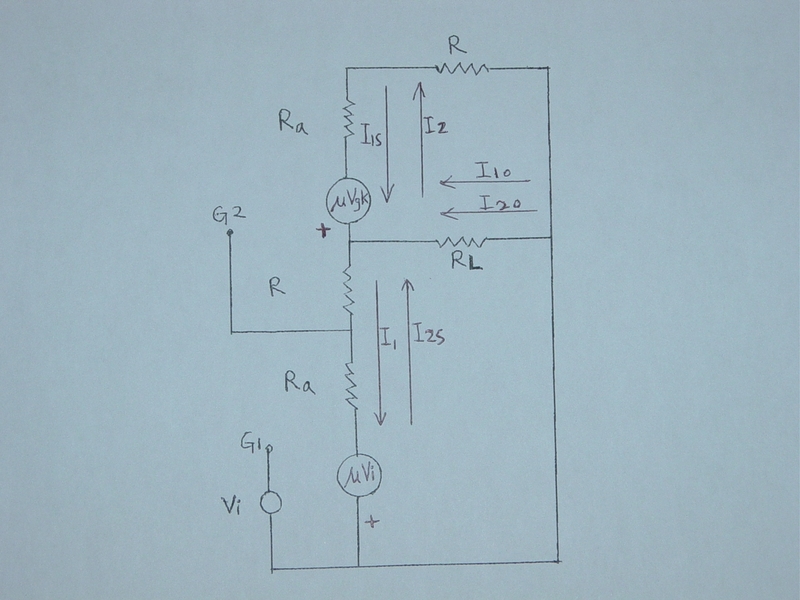 Both static and dynamic balance ensure the maximum non-distorted output voltage swing in load resistor RL. The static balance is an easy job that V1 and V2 identical and RK =RAK for same bias, so same Ip and shares 1/2 B+ each tube. The dynamic balance is more important because this is a push-pull operation, this will ensure low distortion voltage output. How to achieve dynamic balance is more complicated, but if we can go step by step with patience we will get it. Ok, let’s go. 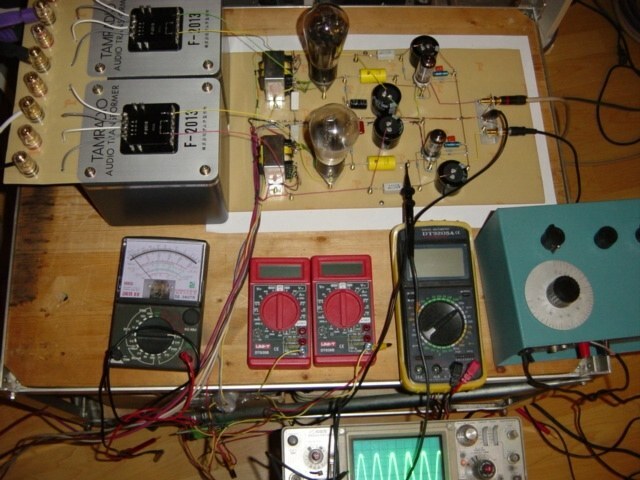 There are two tubes work together, we can assume only V1 is working while V2 signal is short-circuited and then only V2 is working while V1 signal is short-circuited, then calculate them one by one and add the results together, the sum will be equal to that result of two tubes work together simultaneously(superposition theorem). 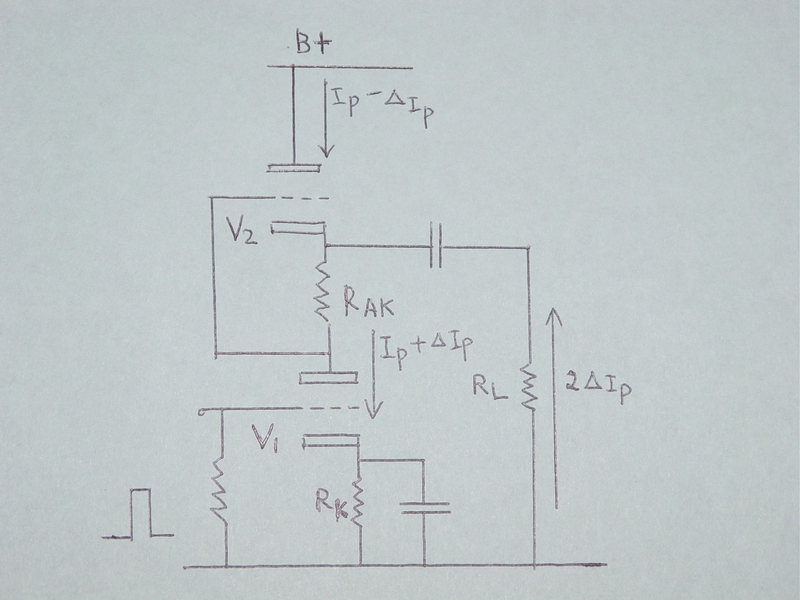 This is the correct formula for SRPP amplifier voltage gain in terms of µ, Ra, R and RL. So simple that this is the relationship between µ, Ra, R and RL for dynamic balance. Since µ and Ra are fixed for a specified tube so we can choose R or RL first and then calculate the other. 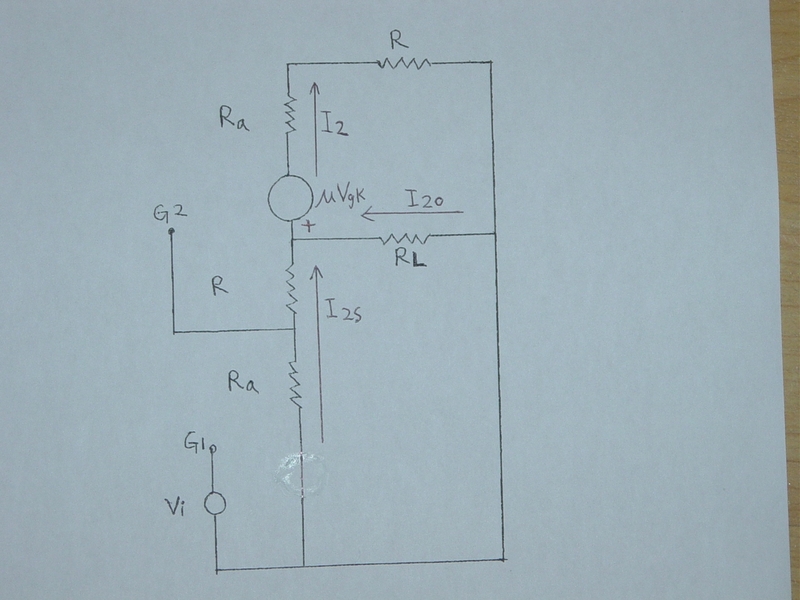 In a practical case, the R has to be determined first to obtain the plate current we desired under a preset B+ supply, then get RL by the above formula F 45 and calculate the voltage gain by F 27a. If V1 and V2 are identical triodes and R = RK = RAK we get static balance. F 45 is the condition needed to maintain the dynamic balance. I suppose the above formulas are of no doubt as they were derived step by step. 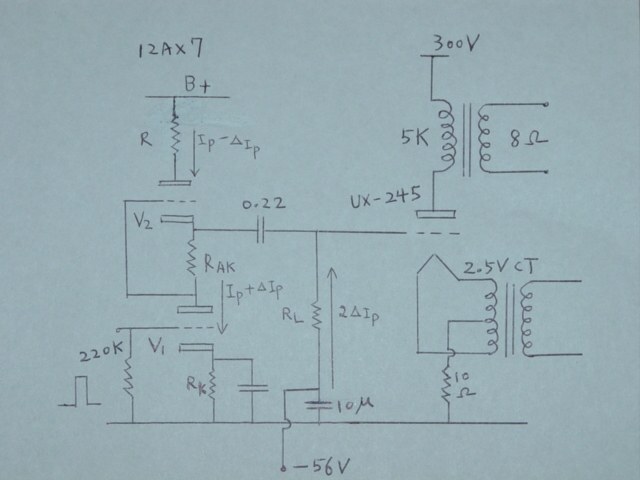 I will build a 6SL7 or 12AX7 SRPP voltage amp to drive a UX-245 triode base on the above calculation on my single end stereo platform. I select a 12AX7 the databook said that µ = 100 and Ra= 80K ohm I made R = RAK = RK = 3.3 K ohm and find the RL is 123 K ohm by F 45, 120 K is practical. Actual oscilloscope test confirms the gain is about 71 OK. 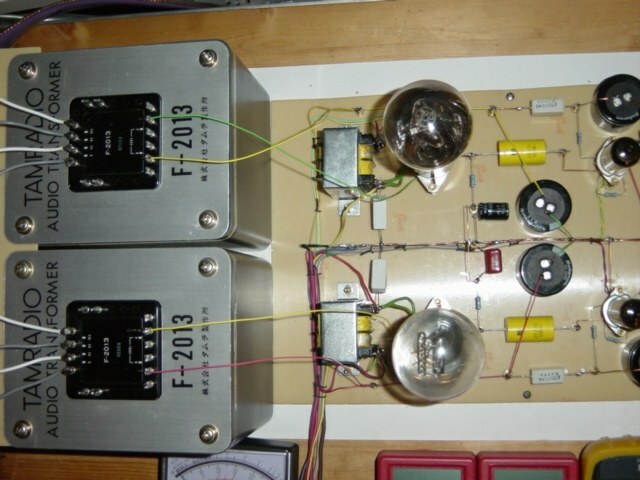 The maximum non-distorted output voltage swing is 150 Vpp from a 300 V B+ supply. The sound quality is very clear in high frequency and the low is good. So that this is another choice for the driver stage.